I am very pleased with myself as I have finished my second knitted project of the year. 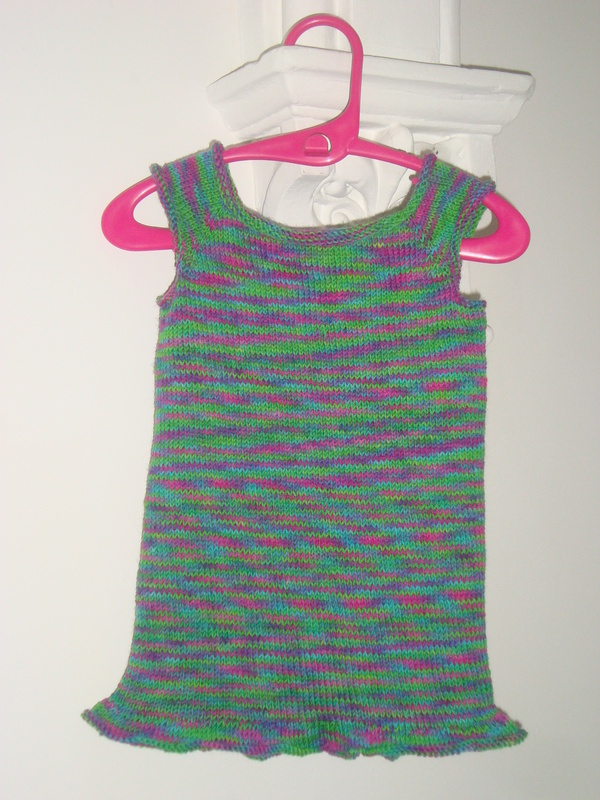 I started knitting this little tank top for Faith at the end of last year but as it was my ‘car project’ (I knitted it in spare moments when I was waiting for Grace to come out of school) so it took me a while to finish. I wanted to knit it longer, more like a tunic, so she could wear it with leggings but it seems my daughter is even longer in the body than I thought and it still isn’t really long enough. But never mind, it looks cute on her and is fine with trousers and skirts. She wore it to nursery today and was very proud of her new top. Just got to attempt to get a photo of her wearing it now – easier said than done!